While we are freezing here on the East coast in New York, its clearly warm and sunny in California. We are quite envious right now. 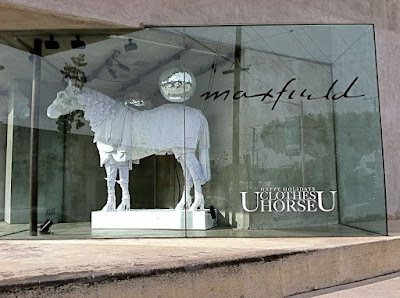 We are always excited to receive new images from across the globe to share with you and have recently recieved these of the windows of the ever-so-cool-it-hurts Maxfield in Los Angeles of Chris Jonics 'Clothes Horse' installation. How cool is this? 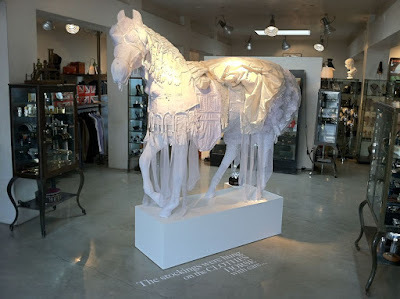 We love this installation with its wonderful humour and particularly within a retailer so confident that no merchandise is even presented. Brilliant.